Set on the streets of Los Angeles at night, Disco'd explores the lives of the homeless as they struggle with displacement. A couple in an encampment prepares to move for city sanitation. An elderly woman is frustrated with obtaining housing assistance. A recycler contemplates his existence. An ailing senior describes a life of heroin addiction as he tries to maintain civility. 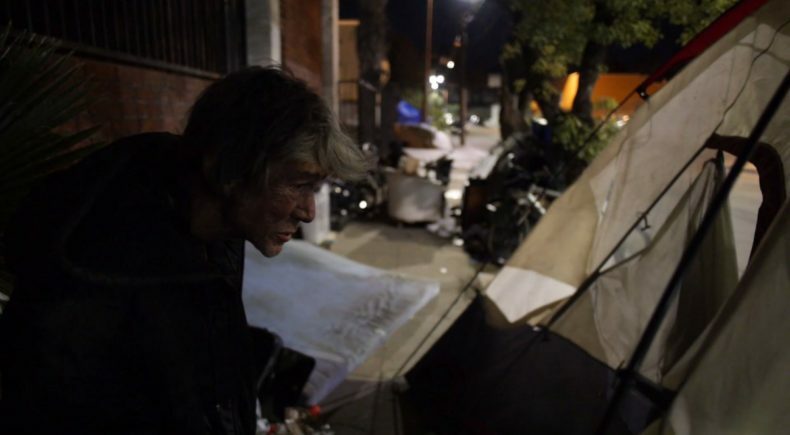 When morning comes, the homeless encampment must move for city sanitation, and the elderly woman faces the realities of homeless housing assistance. Matthew Siretta is an American independent filmmaker born in Brooklyn and currently based in Los Angeles. He studied film at SUNY Purchase College of New York. In 2012, he made his first documentary "My 100 Year Old Mother". In 2014, he apprenticed Frederick Wiseman on the film "In Jackson Heights". After re-locating to Los Angeles in 2015, he partnered with Sam Mantell, where they developed and began the production of Disco'd, Matthew's feature debut. Director Matthew Siretta and Producer Samuel Mantell will be available for Q and A after the screening.